It's difficult to find a precise estimate, but the world produces somewhere around 300 billion pounds of plastic waste each year. I can't summon up a good mental picture of what that entails, but the fact that there's a whole island of plastic garbage at least the size of Texas swirling in the Pacific may give a rough idea. Worse, many plastics take forever to degrade—and when they do, they end up as minuscule particles that get absorbed into the food chain. So that's not ideal. But what can be done? In theory, it's possible to recycle many plastics, but that's not cheap or easy—most of the seven varieties can only be recycled at very high temperatures, which requires a lot of energy. In most areas, it's largely just PET bottles that get recycled, and that involves a fairly inefficient process of shredding the plastic into little flakes. 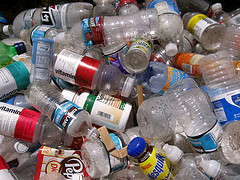 Plus, it's usually not possible to recycle plastic more than once—PET bottles don't usually get turned back into PET bottles, they get "downcycled" into unrecyclable items like pipes or fence posts—so even recycling can't prevent landfills and oceans from piling up. Anyway, that's all to point out that this new discovery from scientists at IBM's Almaden Research Center and Stanford University is pretty fascinating. The researchers say they've developed a "dirt cheap" organic catalyst that can build up and break down plastics over and over again. (By contrast, the metal catalysts currently in use contaminate and degrade the polymers over time, making them unrecyclable.) 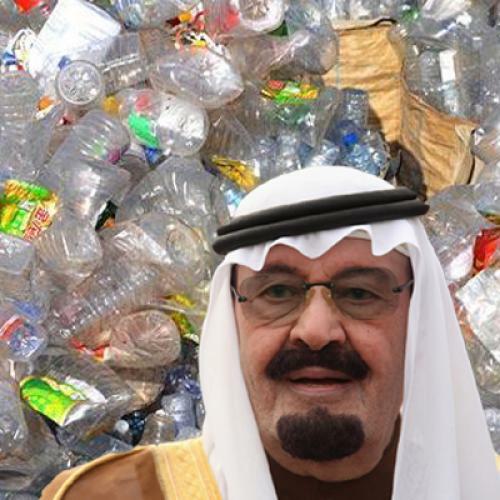 Saudi Arabia's already planning to put the idea to use by developing a plant that recycles PET bottles more efficiently. Still, it seems way too early to say whether these green plastics will catch on. As Katie Fehrenbacher points out, the market for substances like biodegradable plastic is still a tiny sliver of the overall plastics industry, and a lot will probably depend on what sorts of policies toward plastic waste spring up in the future. For now, at least, it's not really a top issue.